My clients are AMAZING! I may have mentioned this before. I have decided to feature 2 tours in 2 different barrios with 3 different clients. First, let me introduce husband and wife team, Daniel and Suzanne from my beautiful CANADA! We set off into the sneaky side streets of San Telmo and into La Boca. I loved how they worked as a team to get their shots. If one of the two was concentrating on a scene the other would find something else to turn their camera towards. "No point in getting the same shot, when we can get something totally different!". Indeed. They make beautiful books of their epic travels when they return to Ottawa to remember and share their adventures. Loved their use of colour and composition in their work. Team work at its finest! Next, to the off-the-beaten-path Palermo tour with Eunice. I like her style. She likes to shoot anything and everything that is different from her home town in New Zealand. She is an inspiration to travelers everywhere, going it alone on BIG adventures at 70ish year young! During our tour, we walked in (literally) on a video shoot with model and model dog (image 2) and were invited inside a strangers home to admire it's beauty (image 3). You gotta love street photography in Buenos Aires! All the wonderfully random things can happen if you put out the good vibes! Love your photos and your spirit, Eunice! 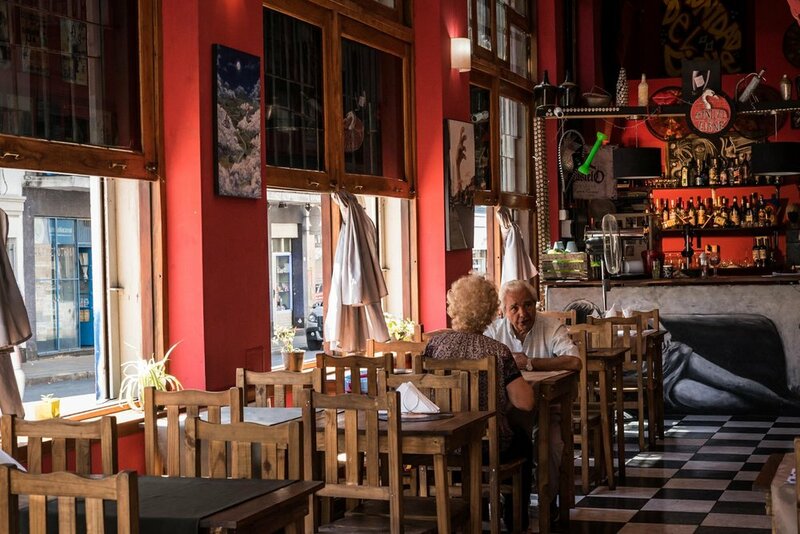 BOOK NOW your customized tour of Buenos Aires with me as your guide! Who knows what we will see and shoot and the fun we will have!